Meal Planning is one of my big secrets to staying sane as a busy mom. 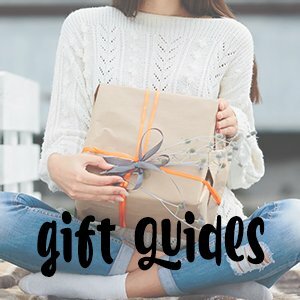 This guide will tell you just about everything you need to know to get started! There’s a TON of information in this post. I encourage you to bookmark it so you can reference it later as needed! Any time a new mom (or anyone, for that matter) asks for tips for making life easier, I always recommend capsule wardrobes and meal planning. Those two things have literally changed my life. And I believe the reason is that they streamline basic daily processes. Now I know that the thought of planning meals can be overwhelming, especially to a new mom who is just trying to make it day to day on very little sleep. I totally get it. I’ve been there. Three times. But it doesn’t have to be complicated and overwhelming. 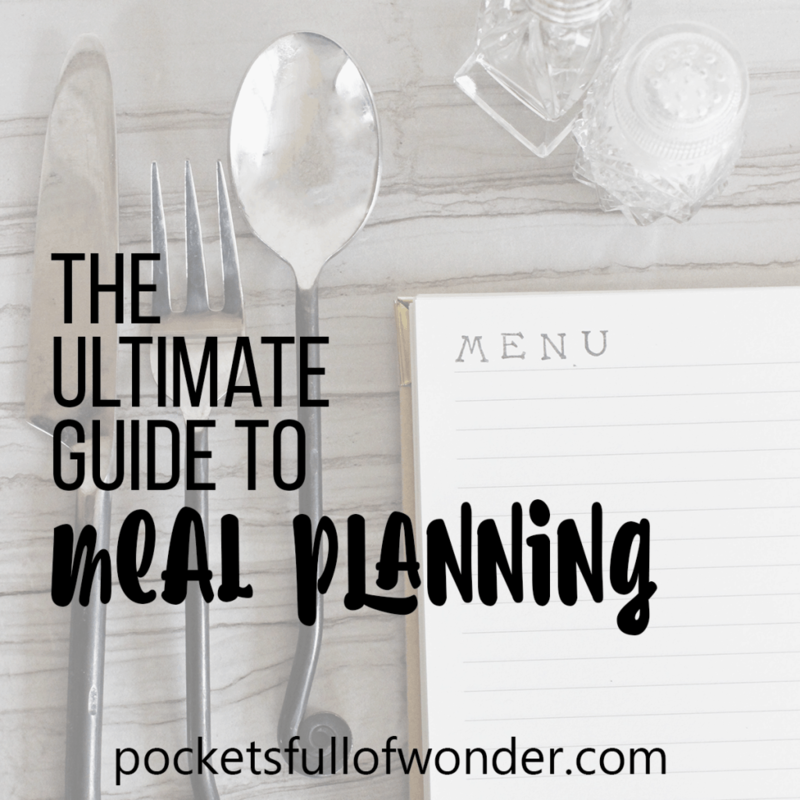 I want to share with you everything I know about meal planning, including why it’s such a game changer, how to get started, and how to customize your meal planning to make it work perfectly for you. The main benefit of meal planning is streamlining meal time. You know ahead of time what to have on hand and ready to go. If you need to thaw some chicken breasts, you can do it in the morning so they’re ready to go at dinnertime. Last minute runs to the grocery store are unnecessary. But there are a few other benefits as well. Saving money is the other big benefit of meal planning. When you get good at it, you can plan your meals around sales and deals, and you can really refine your grocery budget. And no, you don’t have to eat spaghetti every night to do it. I promise. Meal planning is also such a great way to help reduce decision fatigue. That’s when you have had to use so much brain power making decisions all day long that you eventually get to the point where you don’t make the best decisions because your brain is exhausted and you don’t give your decisions much though. It’s a real thing. Another added benefit I’ve found to meal planning is that I can use it to help elevate the general happiness level of my home. Meal times can be HARD for families, especially when you have picky eaters. And I don’t really consider my kids to be extreme, but they do have their strong likes and dislikes. And of course, all three of them have to have different favorites. But I have one kid who is the most vocal and stubborn about her dislikes. I use meal planning to make sure each kid is getting a dinner he/she loves on a regular basis. I also try to make sure my husband and I get our favorites on occasion too. Otherwise, it would be really easy to fall into a rut of constantly fighting with my stubborn kid. That kind of daily fighting really wears on me (and her), and I fear it would contribute to shaping our relationship over time. It also sets the mood for the rest of the evening. If dinner is a battle, bath and bedtime are sure to be difficult too. So I use meal planning to make sure everyone is regularly getting meals they love while also making sure we aren’t eating mac & cheese for dinner every night. At the most basic level, meal planning is simply planning ahead what a meal will consist of. That can mean planning for your next meal. To be really effective, though, meal planning usually happens at least week in advance. This can be every single meal and snack, or it can be just the meals that overwhelm you the most. Or it can be anything in between. Because there are no rules, and the whole point is to make it work for you and to make your life easier. The way it works is pretty straight forward (it’s making it work that can get complicated). Basically, you just decide what your meals will be ahead of time. Then you create your grocery list based on your meal plan and grocery shop according to your list and plan. This is how you make sure you have everything you need when you need it. You can enhance your meal planning process by using different methods, services, and planners, and by adding advance meal prep. None of that is necessary though. 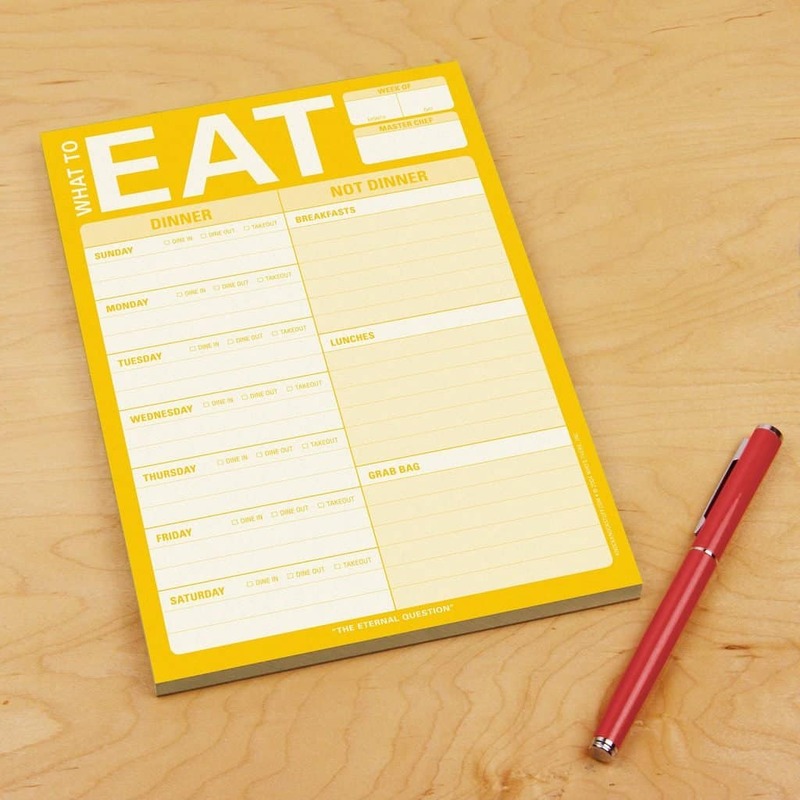 You can meal plan simply using a piece of paper and a pen. Do what works for you. There are two basic types of meal planning. I call them ‘Backward Meal Planning’ and ‘Forward Meal Planning’. Backward Meal Planning is when you plan your meals based on the ingredients you already have on hand. This meal planning method uses what’s called ‘shopping your pantry’. That’s when you go to your pantry (or fridge or freezer), then make a meal using what you have. Backward Meal Planning is taking that idea to your whole meal plan. You take stock of your pantry, freezer, and refrigerator and plan your meals based on the food you’ve already purchased. Backward Meal Planning works best when you’ve got a good stock on hand. But how do you know what to buy to stock your pantry, etc. if you don’t have a meal plan? Well, usually this method is used because it’s a great way to save money. You make your grocery shopping list based on sales, coupons, rebates, etc. and maximize the amount you can get for your money. Depending on your budget, it can take a few weeks to get a good pantry and freezer stock, so you might do a hybrid of Backward & Forward Meal Planning for a bit. Forward Meal Planning is a more traditional approach. That’s when you plan your meals, then make your grocery list based on what meals you plan to make. You can still save money by taking ads and coupons into account when you plan meals. Forward Meal Planning gives you much more flexibility and can be faster since you don’t have to take inventory of food on hand. There are lots of ways to save money on groceries, like opting for generic products, shopping multiple stores, using a cash rewards credit card, and many others. 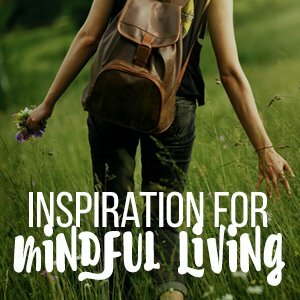 But I’m just focusing on those related to meal planning in this post. I think the most common method of saving money on food is using coupons. So I’ll start there. You can use coupons along with meal planning to save money. I mentioned above that you can do this with Forward Meal Planning by looking at coupons while you plan your meals, and with Backward Meal Planning by shopping based on available coupons before meal planning. To maximize you coupons, try to wait until the item is on sale. That way you’re getting the discount on top of the sale price. 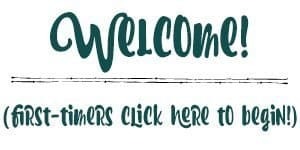 You can also sign up for your store’s loyalty program to get in-store discounts and personalized coupons, many of which you can use with manufacturer coupons. I often get coupons for milk this way! So, just a super quick Coupon 101 tidbit: A manufacturer coupon is a discount the actual brand is offering. A store coupon is a discount the store is offering. You can use a manufacturer coupon at any store and a store coupon only at the store that offered it. Also, you can usually use a manufacturer coupon with a store coupon on the same product. Another good way to save money on groceries is by keeping a price list of your most purchased items. Prices fluctuate without sales just depending on supply and demand. So you can save more by knowing when you see a good price. You can take this a step further by keeping a price journal where you write down prices for your most purchased items. The benefit of a price journal is that you can eventually recognize patterns and know when to anticipate lower prices and base your meal plans around that. The more prepared a food is, the more expensive it is. Prime example: you can buy a small box of rice with a seasoning packet for more than it costs to buy an entire pound of just rice. The more you can make yourself, the more you can save. You’ll have to decide for yourself the best balance between savings and convenience because everyone’s lifestyle and needs are different. And this might take some creativity and a learning curve. But the savings can add up, and it can be a fun way to try new dishes. I hate throwing food away. HATE it. It’s the same thing as throwing money away. That’s why I’m shocked when people tell me they won’t eat leftovers. Using leftovers in your meal plan is a great way to save money by cutting out a meal you have to buy food for. I usually have a ‘leftovers night’ in my meal plan, and it’s often just a buffet style dinner of the leftovers from the previous couple of nights. I mentioned shopping your pantry above, but maybe you’re still scratching your head. It’s easy to do once you get a good pantry stock and a good routine. But it can take some time to get started. If you’re still not seeing how this can work, it’s probably because your current pantry doesn’t have a lot of ingredients in it that you could pull together to make a meal. On top of that, maybe your grocery budget is tight and you can’t imagine buying food you *might* cook with. So I wanted to spend a little more time explaining how this works. Start by writing down a list of your family’s favorite meals and snacks. Then compare the meals you’ve written down and start a list of the most common ingredients. Write those ingredients down in order of how much you use them. So if rice is the most common ingredient, for example, that will be at the top of the list. This Most Common Ingredients list will be a good guide for when you shop to stock your pantry. Shopping your pantry is easy if you have a generous grocery budget. If that’s your situation, start at the top of your Most Common Ingredients list and stock what you can with your budget. Be careful to estimate how much you’ll actually use so you’re not overbuying. If you have a tight budget with no wiggle room to start stocking up on basic staples AND continue to buy your regular weekly groceries, you’re going to have to get a bit creative and adventurous. First, take stock of what you have and make your meal plan with Backward Planning. Shop your current pantry and use everything up, even if it doesn’t seem like you have a lot that ‘goes together’. You can use the ‘ingredient search’ function at allrecipes.com if you need some help. And if you don’t have an ingredient, you’ll need to use your creativity! You might be having some rather unusual meals for a couple weeks. Then cut your grocery budget WAY back and only purchase weekly essentials and perishables, like milk, eggs, etc. And I mean absolute bare bones here. Now use the rest of your normal grocery budget to shop for pantry essentials using sales, coupons, rebates, etc. Focus on your Most Common Ingredients list. Now you can start with Backward Meal Planning for the next week. Shop your pantry first and try to use as much of your current stock as you can. If you need to, keep using ‘creative & adventurous’ meals and bare bones grocery shopping so you can continue to stock your pantry. Each week your meals will get more ‘normal’ as you have more to shop from in your pantry. I’ll be honest, it took me a few months to really get into a good groove with this method. But during that time, my very tight and strict grocery budget was on the mark. 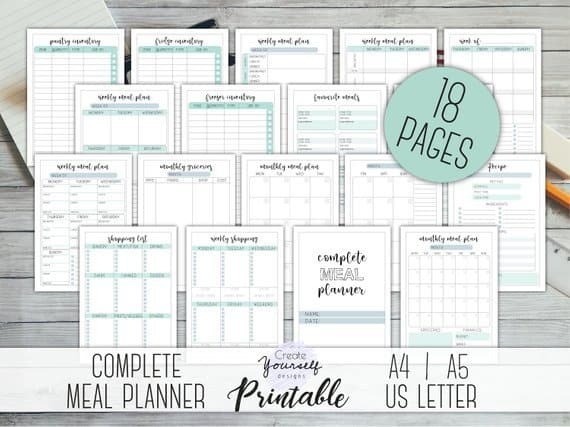 Meal planners are so helpful for staying organized. There are tons of options, from simple 1 sheet printables (like mine) to sophisticated notebook-type planners with bells and whistles. I’ve used lots of different types over the years, just depending on what I need at the time. A simple 1-page planning sheet will usually just be a calendar or list of days and a blank grocery list. They’re usually set up to plan a week, two weeks, or a month at a time. It’s really all you need if you’re doing basic Forward Meal Planning. You simply write down your meals on each day and use that to make your grocery list. You can use a 1-page sheet with Backward planning too. You’ll just need to use additional paper to write out your pantry and freezer inventory, and possibly to jot down sales, coupons, and rebates. 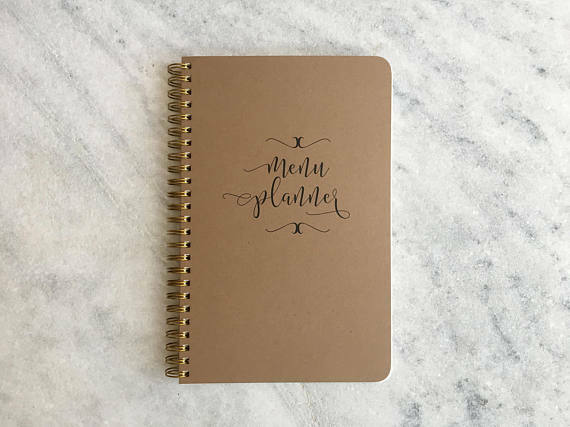 A bound meal planner is like a traditional planner. It’ll typically have dated or undated weekly layouts that you use to fill in your meal plan, and a blank weekly grocery list. 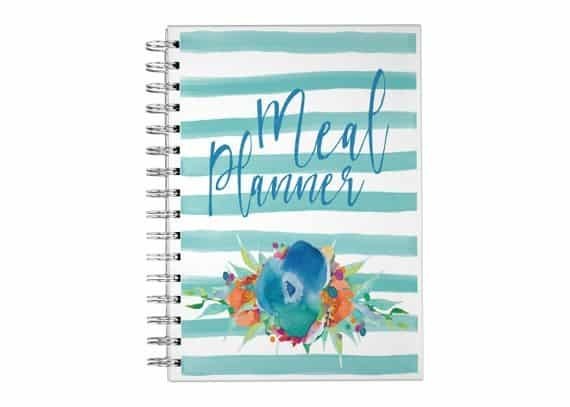 Sometimes, these planners will also have some other helpful sections, like Price List, Favorite Meals List, Pantry & Freezer Inventory, Recipes to Try, and Favorite Recipe Sites. The best thing about this type of planner is that you have everything all together in one place. 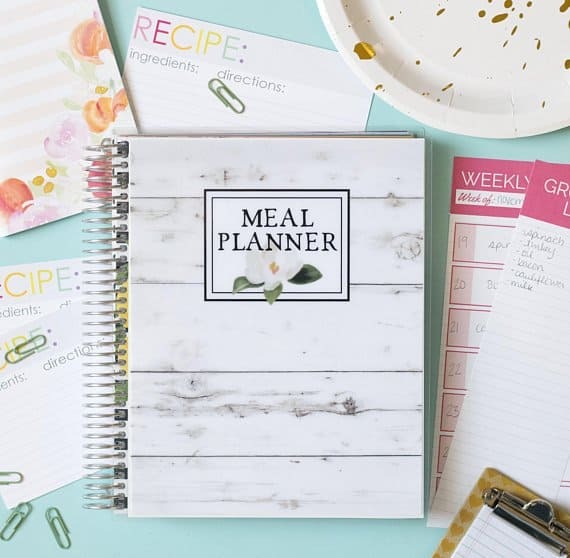 It is so much easier to stay organized and keep up with using your meal planning tools, like your Price List and your Most Common Ingredients list. And you can mark the meals that were successful so you can easily go back and reference past meal plans to get ideas while planning. Here are a few bound planners I like. 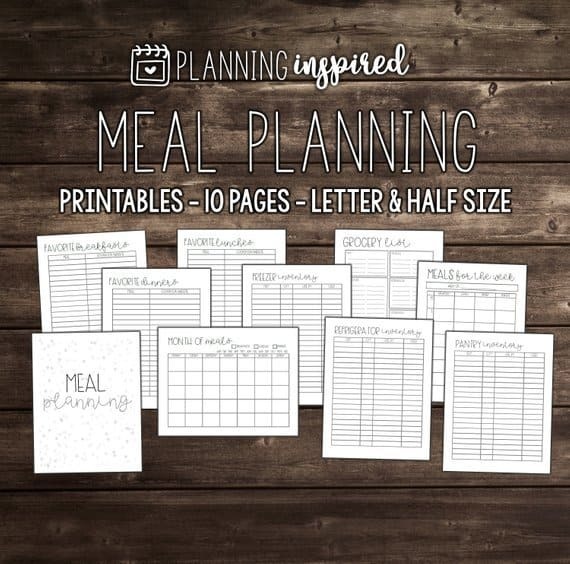 A printable meal planning kit is the most flexible because you can print exactly what pages you need. They’re more economical than bound planners because you can just reprint over and over rather than having to purchase a whole new planner. And you can put all the pages into your own binder to keep it all organizes. I think of this option as the best of both worlds. Here are a few printable meal planning kits I like. Using a template is my favorite way to simplify and streamline meal planning. It takes so much of the decision making pressure off because it makes it more like a fill-in-the-blank exercise. You can make your template whatever you want it to be and however ‘fixed’ you want. For example, my favorite template is very flexible. I use it to make sure I’m putting enough variety into my meal plans. 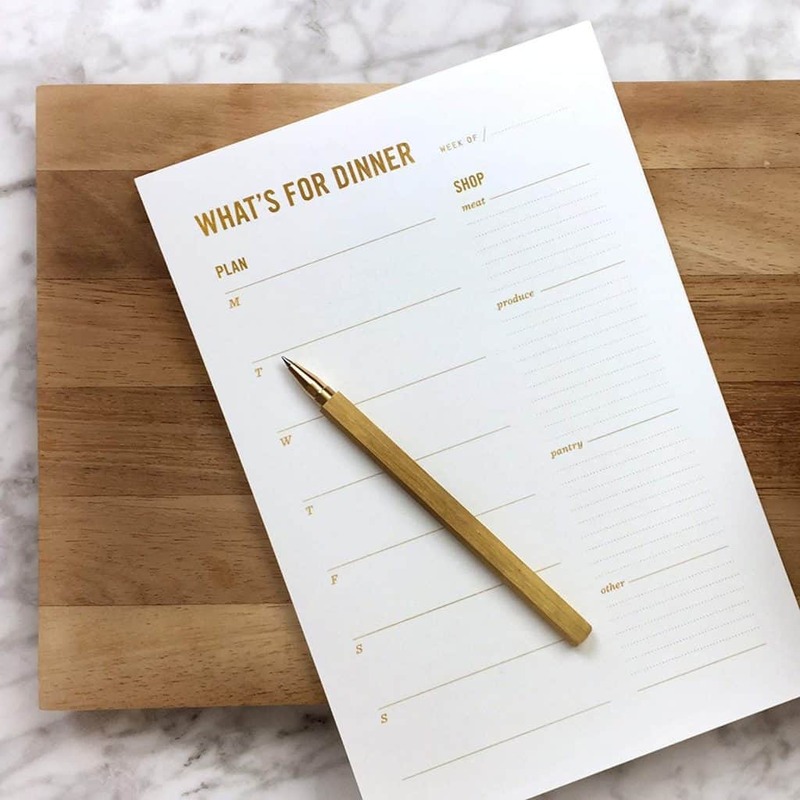 My favorite dinner planning template is NOT a fill-in-the-blank type. It’s more of a guideline to formulate an overall weekly meal plan. Here’s how it works. I use these two lists. For each dinner, I pick 1 choice from List 1 and 1 choice from List 2. For example, grilled salmon with rice pilaf and steamed broccoli picks ‘Fish’ and ‘Rice’. Each option can be used more than once, but every option has to be used weekly. Day-of-the Week Templates: Each day of the week has an assigned meal or meal type. This really narrows it down and makes planning super simple. Examples: Meatloaf Monday, Taco Tuesday, Spaghetti Wednesday, etc. or Meatless Monday, Pasta Tuesday, Breakfast-for Dinner Wednesday, etc. Pick-and-Choose Meal Types: Pick a meal type for each night. This is a slightly more flexible version of Day-of-the-Week templates. Instead of having an assigned night, you pick the meal type for each night as you’re meal planning. Examples: Sandwich Night, Soup Night, Pasta Night, etc. Meals List Template: Keep a list of meals you know work well for your family and budget. Pick a meal from that list for each day. Meal planning services are perfect for super busy families. But they do require some give and take when it comes to the meals you’ll be eating. If you’re family isn’t picky, this could work really well for you. The way they work is pretty straight forward. Basically, you pay a fee (usually weekly or monthly) and completed meal plans are made available to you. They usually focus on dinner, but some services will allow you to add other meals. A popular and super convenient meal planning service is eMeals . At just $5 or $10 a month (depending on your plan after a 14-day free trial), it’s really a full service program. eMeals provides more than just a list of meals. They also provide recipes for each meal, a grocery list for your week, and they’ll even base your grocery list on your favorite store. AND, you can even transfer your list to a grocery delivery service like Instacart. eMeals is super flexible too. They have 20+ meal categories to choose from, including 30-Minute Meals, Budget Friendly, Clean Eating, Kid Friendly, Paleo, Vegan, and you can add breakfast and lunch if needed. If you don’t like a meal that is put on your plan, you can take it off. And you can switch between meal categories any time you want. Plan to Eat is another service at a decent price ($4.95 or $3.25 a month after a 30 day free trial period). Plan to Eat is more of a meal planning tool rather than a full service provider. The website and app allow you to build your own meal plan using recipes you already know your family loves. You add the recipes manually or import them from the internet into your recipe bank and then drag them into your calendar to plan your meals. Plan to Eat also builds a grocery list for you, and allows you to create multiple lists for multiple stores. So you can put the ingredients on the list for the store at which you typically buy them. For example, you can put your milk on your Aldi list, eggs on your farmer’s market list, and ground beef on your Costco list, if that’s where you happen to buy those items. Plan to Eat is a great option for families with dietary restrictions, specific food preferences, or picky eaters because you have full control over the meals in your plan. They also have fun challenges and let you connect with friends on the platform so you can easily ‘borrow’ recipes. There are several other meal planning services out there too, but these are the two that I’ve found offer the most for the best price. Choosing meals that can be prepped in advance can be a huge time saver on busy nights. Having simple prep done, like chopping vegetables, making sauces, or even cooking meats takes time consuming steps out of making dinner. There are different ways to do this. You could have a ‘meal prep day’ where you do everything you can do ahead of time on one day, like Sunday. Or you can prep for dinner in the afternoon (while your little kids are napping and your big kids are at school). Another form of meal prepping is to cook once for multiple meals. I like to cook a bunch of chicken to use in multiple meals, like shredded for tacos and chopped for salads. I also like to plan for using leftovers in other meals. So using the chicken example, I might make double the chicken for tacos and use the leftovers in a stew. The stew will cook quicker because the meat is already cooked. Freezer cooking is another popular time saver. I like having a few freezer meals on hand to pull out in a pinch. Freezer meals are full or partially cooked meals that store in your freezer for several weeks. These are also nice to have on hand to take to family and friends in need, like when someone has a baby. Another option is to have items fully prepped and frozen and ready to cook. This would be more like ‘freezer prep’ than ‘freezer cooking’. I like having chicken breasts frozen in a zip-top bag with a versatile marinade that I can pull out to grill or bake. I also like having chopped onions and peppers frozen and ready to throw into some ground meat or a soup or stew. No-cook meals are, as you might guess, meals that require no cooking. My family loves ‘sandwich night’ with deli meats and cheeses. As a side, we have fresh veggies or a tossed salad. Another favorite of mine is ‘big salad night’. No-cook meals are a great way to use leftover meat too. Grilled chicken is so good on a big salad! Meal Delivery Services take much of the prep and the shopping off your plate (pun intended, ha!). But like some meal planning services, you’ll need to be a bit more flexible and adventurous with what you’re willing to eat. You’ll receive meals delivered and ready to cook, so you will still need to cook dinner. But much of the prep is done for you. And you only get the amount you need of each ingredient, so you don’t have to go buy a unique ingredient for $10 and only use 1 teaspoon. Home Chef is a popular meal delivery service that allows you to pick a minimum of 2 meals from 16 recipes each week. Their meals are designed to be ready to eat in 30 minutes or less, so it’s a fantastic option for saving time. Meals start at $9.95 per serving. You can view the current menu without joining to decide if you like what they offer. Hello Fresh also allows you to pick a minimum of 2 meals from 15 recipes each week. Hello Fresh recipes indicate prep and cook time, so you can make sure you are picking meals you’ll have time to prepare. Some are quick (like 20 minutes) and some aren’t so quick (like 45 minutes). Meals start at $9.99 per serving. Bonus: they offer wine as an add-on! Blue Apron is a little more economical at $7.49 per serving to start. The menu selection is a bit more limited though, at just 8 options to choose from. They focus on quality, responsibly sourced ingredients, like sustainable seafood, which is something I really appreciate. And they offer wine too! Green Chef is higher priced at $10.49 per serving, but focuses on certified organic ingredients. They also offer good variety with gluten-free, vegan, and keto plans (among others). The recipes at Green Chef look a little more exotic, so be prepared to try new things with this service. 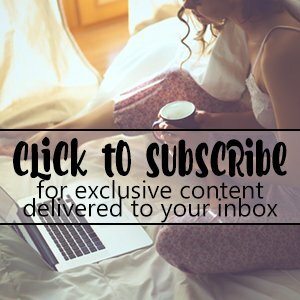 I hope this helps you get started with meal planning, or maybe take your meal planning to the next level. But just because I wrote 4,000+ words about meal planning doesn’t mean I’m not still learning. I’d love to hear from you – what are your best meal planning tips, hacks, and tricks? ?